If you are a business that wants to expand online reach with an optimized Google My Business listing please feel free to reach out to me at jwojdylo@gmail.com. I offer many consulting and monthly packages that can help increase traffic through search and Google Maps. Something I would strongly suggest is to check your Managers and Communications Managers on the Google Plus Local listing. At this point, it looks as if a Manager has the ability to change almost anything about the Google Places listing. This means they can change the category, website URL or hours of operation. Initially, Managers were only able to update in a limited capacity. If you have old Managers that should not have this access you may need to demote them to Communications Manager or remove the Manager title altogether. When Google first released Google Plus Business Pages most local businesses wanted to combine their Google Places listing with their Google Plus Local listing. Unfortunately, it was not as simple as a few clicks of the mouse. In fact, some businesses found that it took months or even years to combine the two. If the email address that owned the Google Places listing was not the same email address that was the owner of the Google Plus Local page they acted as separate entities. One can imagine this was not very attractive to businesses that wanted to show up in Google Maps. Make certain the same email address is used for all Google properties. This will make your life much easier. This is a client of mine. We worked very hard to trigger the knowledge graph. At the time, I had to adjust many things in Google Places while also getting active on Google Plus with their Local Business Page. If you are a business that is looking to trigger the Google Knowledge Graph for your business please feel free to email me at jwojdylo@gmail.com. I have several packages that can help with this desire. Unfortunately, triggering the Google Knowledge Graph is not easy but it may become a little more understandable with the combining of Google Plus Local and Google Places. As Google continues to roll out new features with Google My Business I would suspect completion of a profile will be the #1 priority. In all my work with the Google Knowledge Graph for businesses the most common hiccup in obtaining the knowledge graph is an incomplete profile. On the old Google Places interface it would give users a warning sign if the entire profile was not complete. 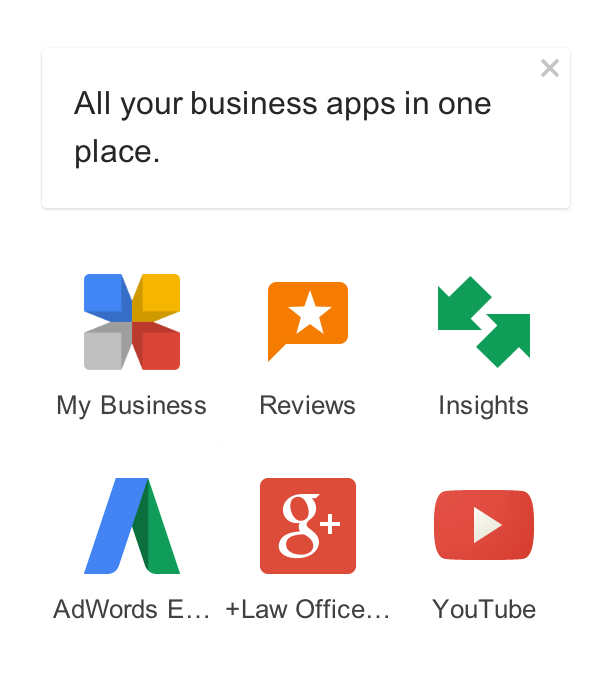 On the new Google My Business interface there is also a warning that something is missing. To complete your business profile you will need a verified URL, a telephone number, hours of operation, an industry, the reviews tab open and a description of the business. In late 2013 business owners were unable to include an in depth description of a business. The “about” section was rather short and it did not allow business owners to add hyperlinks of anchor text. That has changed in the last few months. Also, there is an opportunity to add to your business about page any time you so desire. This is not something that can be completed once and never changed. 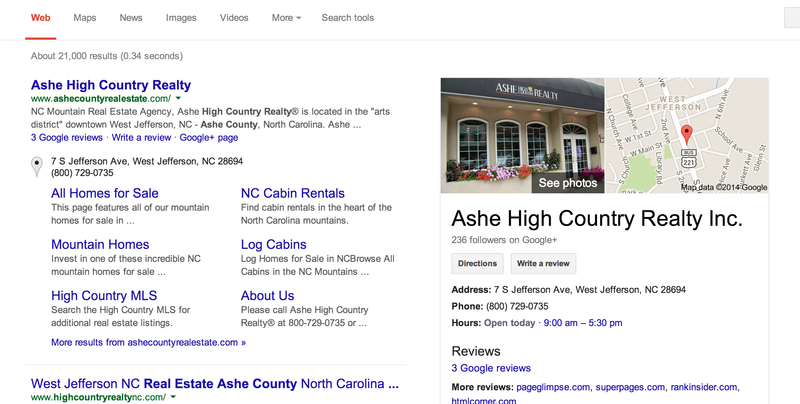 If you truly want to optimize your Google My Business listing I would strongly suggest making the “about” section over 300 words with hyperlink of anchor text to the more popular areas of service or expertise. If you are struggling to come up with an in depth description that includes a call to action do not hesitate to contact me at jwojdylo@gmail.com. I have experience in writing calls to action for lawyers, optometrists, financial advisors, mortgage brokers and insurance companies. This is a skill set that is lacking in many businesses as they think potential customers or clients are going to simply know what to do. Most of the time they do not. You will need to encourage them to “contact us now for a price quote” or “call us to better understand how to file a lawsuit”. Will Google My Business Help with Google Search Rankings? Almost every time I take a call from a potential client I am asked, “will this help me rank better in Google search?” My answer is usually, “it won’t hurt!” In all seriousness, Google has consistently stated that natural links and user friendly content is what ultimately helps websites rank in search. What better way to get natural links than from shares on a Google social platform (Google Plus)? To me it is common sense that a business would want to use the social platform owned by the largest search engine in the world. Having worked with clients in the legal and medical industries, as well as real estate, I can confirm that increased activity on Google Plus has helped their business website receive many more natural links. The links pointing to their website ultimately help them rank for “money” keywords. This is not a process that can happen overnight. If you want an experienced social media manager that has a large Google Plus following I will be more than willing to help gain exposure. In the last two years I have accumulate over 650,000 Google Plus followers and I am quite aware of what works and what does not work on Google Plus. Ranking in Google search takes amazing content, natural links, a social media presence and the proper SEO. If you have the desire to get more customers through Google Maps or Google Search I strongly recommend hiring someone that has proven their value. Ask for first page results and look at their Google Plus presence. This should help you sleep easier at night knowing your online advertising campaign is in very good hands. Something that is very important to me is analytics. I am a numbers cruncher. I love nothing more than to see clients getting more pageviews, click throughs and, ultimately, more business. 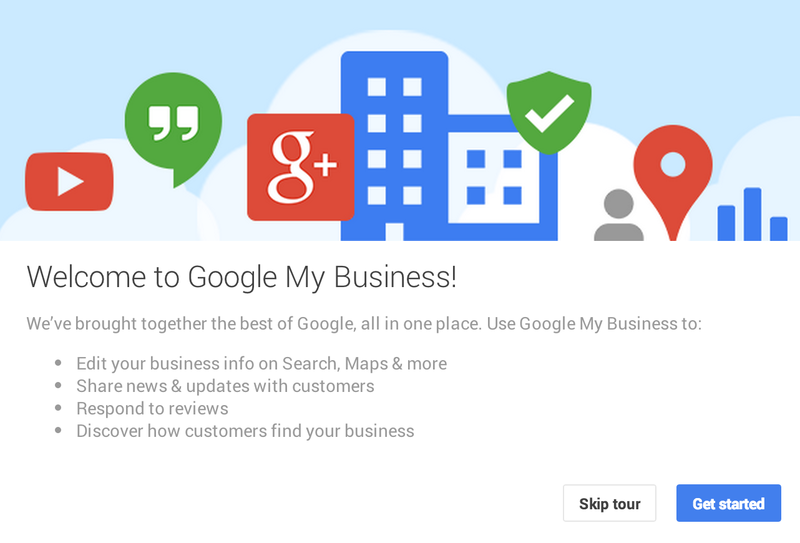 With the update to Google My Business there are a few new metrics that you can track. 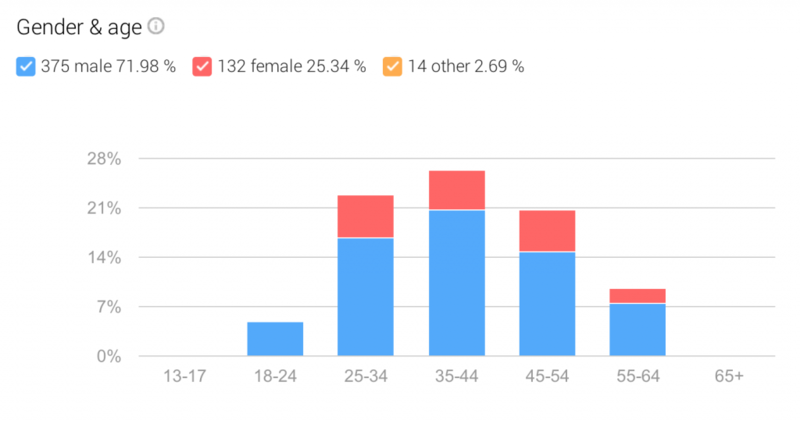 One of the more important metrics is audience based on Gender, Age and Country. This is extremely important to some of my clients as they focus their business on females that make buying decisions. It can also be valuable to a business that is focused on a specific part of the world. If you are a personal injury law firm you likely would not benefit from having many followers that were females between 13-17. That said, if you were a fashion company this might be an extremely important audience. Taking the time to digest this information and structure your Google Plus growth strategy for a specific audience is a necessary step in a social media campaign. If you need help with growing a Google Plus following or getting business from Google Plus do not hesitate to reach out to me at jwojdylo@gmail.com. I offer several monthly packages that help businesses increase their following so they can use Google +Post Ads or simply get more potential clients and/or customers off the Google Plus social layer. Even if you do not get business from Google Plus it still looks very good to see over 1000 people following a business page when the search result appears. This is a very successful client of mine that is in a highly competitive niche. As you can see, having spikes is not uncommon because of the virality of posts. There will be some Google Plus posts that hit well and go to “What’s Hot and Recommended” while there are others that may only receive 15 or 20 +1s. The ultimate goal is to grow exposure through a following that enjoys your content. If this has been a problem with your Google Plus marketing campaign do not hesitate to reach out to me to succeed on the Google social network.